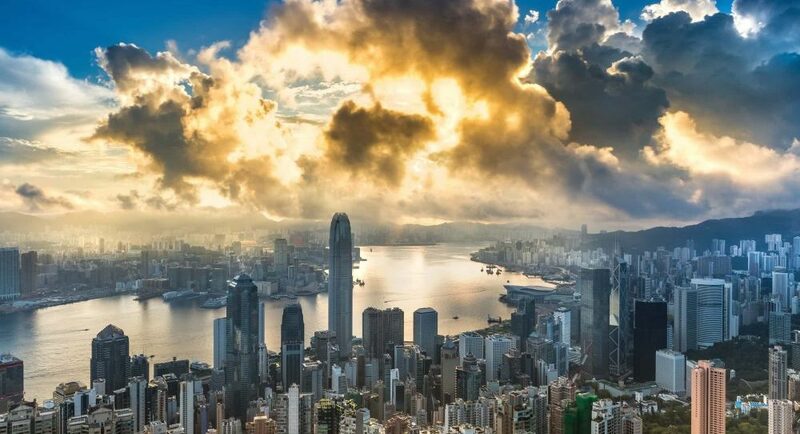 “Hong Kong is the only place in the world that exactly matches with the best feng shui principle of wind and water,” says feng shui grand master Raymond Lo. A lot of people design spaces in Hong Kong and then consult a feng shui master afterwards. But for us it was very important to consult one right from the beginning,” says Philippa Wong of M.int Academy, a learning centre in Hong Kong’s Aberdeen area that offers music tuition. Philippa and her sister Andrea opened the centre in August last year. Like many business owners in the city, they wanted to start off on the right foot and ensure optimal luck and a harmonious environment for their business to flourish. So they hired local feng shui master John Choi to advise on the most auspicious layout and design of their centre. In the past, emperors in China designed entire cities according to feng shui principles. Today, official adherence in cities such as Hong Kong is less explicit, but the practice still influences urban design and architecture through the choices of individual developers, architects and the local population. One such example are the indigenous villagers in Hong Kong’s New Territories region. After being forced to move to make way for new housing developments, over the past decade the villagers have received HK$10 million of public funds to spend on feng shui rituals for their new homes. “When the government has to take land from villages, the authorities have to respect the local people’s claims that the new developments will destroy their feng shui,” says Lo. Although some sceptics write off feng shui as pure superstition, there’s no disputing that it runs through the architectural veins of Hong Kong. In 2005, Hong Kong’s City University became the first in the world to offer a feng shui course as part of its building and engineering master’s degree. The local Hong Kong tourism board offers feng shui tours three times a week that explain feng shui’s influence on notable landmark buildings. Stories abound that there is a feng shui battle occurring in Hong Kong’s central business district in which well-known skyscrapers use the practice in their architectural design to increase luck and ward off bad feng shui from neighbouring buildings. It’s also believed that the HSBC building has cannons on its rooftop (actually service winches) to represent a defence against the negative energy of the building in front of it, the Bank of China Tower, whichis famous for going against good feng shui principles. “The Bank of China Tower in Hong Kong has sharp angles in its design which is creating what we call ‘sha qi’ or ‘killing energy’,” says Lo. “Sha qi is inauspicious energy to the environment. Because a sharp angle can damage – it’s like a blade for attack.” Lo and other feng shui experts believe the blade-like shape of the Bank of China Tower has had a negative impact, cutting the fortune of surrounding buildings. Months after the completion of the Bank of China Tower in 1989, HSBC’s share price dropped to a historical low of £3.74. In order to counter the negative energy, HSBC supposedly placed the two cannon-shaped objects on top of the building pointed directly at the Bank of China. Ever since, the legend runs, HSBC’s performance has improved. Similar to the design of Hong Kong’s government complex, high rises with holes in the middle have become a common feature in a number of buildings in the city and often pique the curiosity of the public. A well-known example is the Repulse Bay development. The gaping hole in the centre of the building is often believed to have been designed for feng shui purposes: a feature known as a “dragon gate”, which legend has it allows the energy of the nearby mountain (or “dragon”) to pass through towards the sea.